CVS Pharmacy health policy ‘destructive’? Some say that although the Rhode Island-based pharmacy company may have the right intentions in wanting employees to stay healthy, but asking for health data such weight, body fat and glucose levels can be considered invasive. NBC’s Stephanie Gosk reports. >>> there is a new front over the battle of obesity in this country tonight. a growing problem that cannot be ignored. here's why. with two-thirds of americans now officially listed as either overweight or obese and related health care costs soaring now to $168 billion a year. now one of the nation's big employers, the cvs drugstore chain, is taking a hard line on monitoring its own employees' weight. it's causing an uproar including a big reaction when we posted it on our facebook page just today. the story tonight from nbc's stephanie gosk. >> reporter: numbers on the scale don't lie. this country needs to lose some weight. but how involved should employers get in the process? a new employee health policy at cvs , the rhode island -based pharmacy company, has triggered lively debate and more than a little anger. >> i don't necessarily think that's something they should ask employees. >> i think the cost is just ridiculous. >> reporter: to take part in the company-sponsored health insurance , cvs employees are now required to have their weight, body fat and glucose levels screened by their doctors. if they do not, their premiums may go up $600 a year. that's $50 a month. in a statement, cvs says the data collected never leaves the doctor's office a and that the goal is to help employees improve their health and manage health-associated costs. right idea, say some, but the wrong approach. >> they may well want a healthier work force but they are going about it in a destructive way that offends people and violates their privacy. >> reporter: in a survey of companies 8% used financial penalties to motivate healthy behavior. last year the number jumped to 20%. employers use two different strategies to encourage participation. some, like cvs , use what might be considered the stick approach. while others use the carrot. at this small insurance firm the carrot is money. 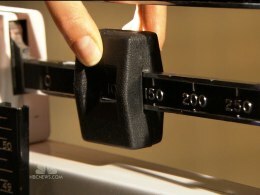 a quarter of the staff signed up for a weight loss competition with 17 other companies. over three months whoever loses the most in the office gets $3,000. whoever loses the most overall gets $10,000. the contest is voluntary. >> a lot of people opted not to participate. they didn't want any kind of information about them or their health out there. >> reporter: as employers' health care costs rise, more companies may not be willing to give employees the choice to opt out of wellness. stephanie gosk, nbc news, new york.